Whether you seek to obtain an IA as a personal challenge, for a specific job opportunity, or for professional development, the Inspection Authorization is the next logical step in the career progression of an aviation maintenance technician. Aviation Maintenance Technicians must understand the requirements of attaining an Inspection Authorization and will benefit from the thorough explanation of all topics necessary for certification. With extensive reference material and easy-to-understand audiovisual presentations, the Gleim online training course will help you pass your knowledge test while minimizing your time, cost, and frustration. Airframe & Powerplant mechanics that hold an Inspection Authorization (IA) are very valuable to the aviation community and play a critical role in determining the airworthiness of an aircraft. Aircraft that have undergone major repairs and major alterations may not be returned to service without an inspection by the holder of an IA. In addition, the holder of an IA may perform annual inspections and perform or supervise progressive inspections. Hold a mechanic certificate with both an airframe rating and a powerplant rating, each of which is currently effective and has been in effect for a total of at least 3 years. Have available the equipment, facilities, and inspection data necessary to properly inspect airframes, powerplants, propellers, or any related part or appliance. Have been actively engaged, for at least the 2-year period before the date of application, in maintaining aircraft certificated and maintained in accordance with federal regulations. 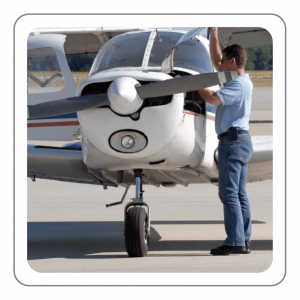 Pass a written test on your ability to inspect, according to safety standards, for returning aircraft to service after major repairs and major alterations and annual and progressive inspections performed under 14 CFR Part 43. Have a fixed base of operations at which you may be located in person or by telephone during a normal working week (it need not be in the place where you will exercise inspection authority). If you determine that you are eligible to hold an IA, you should schedule an appointment with an Aviation Safety Inspector (ASI) at your local FSDO to interview for authorization to take the knowledge test. You will need to complete and sign two copies of FAA Form 8610-1, Mechanic's Application for Inspection Authorization, and bring them with you to your appointment (along with proper identification). It is a good idea to bring all of your training records/certificates and transcripts to the interview since the primary purpose of the interview is to establish that you are qualified for and fully understand the inspection authorization privileges, limitations, and responsibilities. Once the ASI confirms that you are eligible for an IA, both copies of the 8610-1 will be signed. One copy will be retained at the FSDO and the other copy will be given to you. Both copies will contain a statement indicating that the ASI's endorsement expires 30 days from the date of application. You are now authorized to take the IA Knowledge Test. 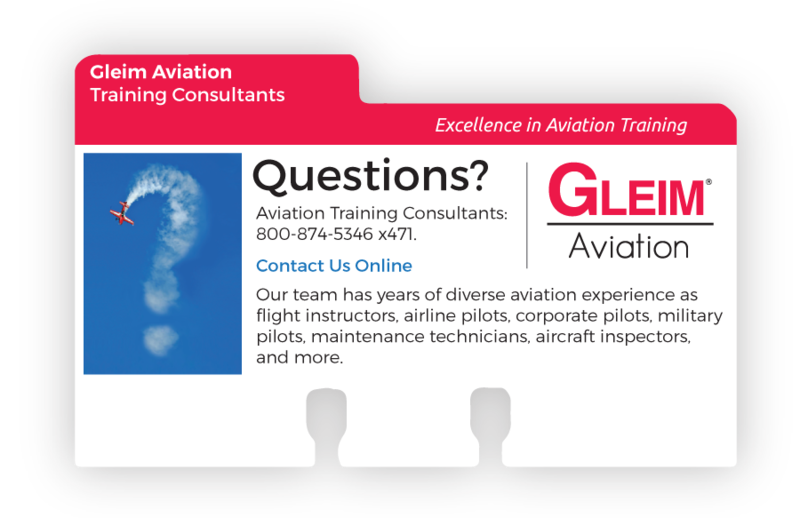 The Gleim Inspection Authorization Training Course (IATC) uses our sophisticated Knowledge Transfer System to ensure that you master all the information needed to become a competent and safe IA and pass your FAA knowledge test with confidence. Aviation Maintenance Technicians will be helped to understand the requirements of attaining an Inspection Authorization and will benefit from the thorough explanation of all topics necessary for certification. With extensive reference material and easy-to-understand audiovisual presentations, this online training course will help you pass your knowledge test while minimizing your time, cost, and frustration. 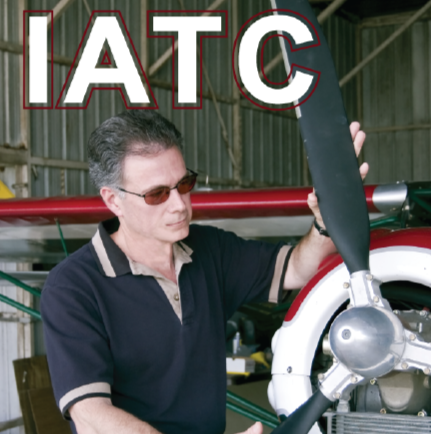 The Gleim Inspection Authorization Training Course (IATC) is a comprehensive self-study course designed to help you pass the Inspection Authorization Knowledge Test, which is one of the most rigorous FAA knowledge tests. By studying with this course, you will have all the information you need to pass this “closed book” knowledge test with confidence. The Gleim Inspection Authorization Renewal Course (IARC) was the first FAA-accepted online IA renewal program. It offers a host of topics designed to appeal to almost any IA's interests. Not only does it meet the requirements for renewal with the FAA, but it also encourages safety and helps you do what you do even better. 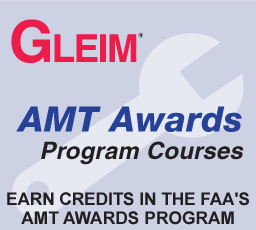 Gleim uploads AMT Awards course completion credit every week for current course users. If you have completed this course but have not received AMT Awards credit, follow the instructions below to ensure you are credited for your work. Log in with your FAASafety email address and password. If you have not created an account with FAASafety, you will need to do that first. Under the "Activities, Courses, & Seminars" tab at the top of the page, click "Activities." Type "Gleim" into the "Keywords" box and click "Search." Find the appropriate course title in the resulting list and click on the title of that course. Click the "Request Credit" button. Enter the date on your completion/graduation certificate into the "Date Completed" box. In the "Select Validator" section, click the "Email" tab. Type "wings@gleim.com" into the field and click the "Select" button. An email notification will be sent to Gleim. We will review your course records and either validate your credit or reply explaining why we are unable to do so (for example, the course completion date is incorrect). Either way, you will receive an email reply from FAASafety once our action has been submitted. If you have any questions or difficulties with this process, please email wings@gleim.com. 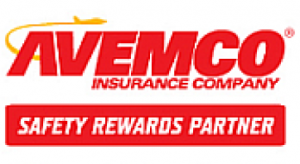 This course counts towards Avemco's Safety Rewards Program. Click here for more details.